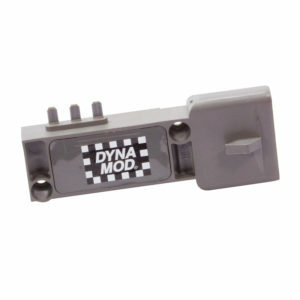 Part# 5575A comes with 1/O gage terminals that must be crimped onto the battery cable. 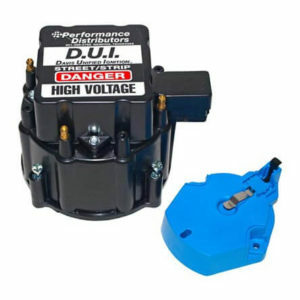 This design is used in many racing applications and GM vehicles to replace the side post design. 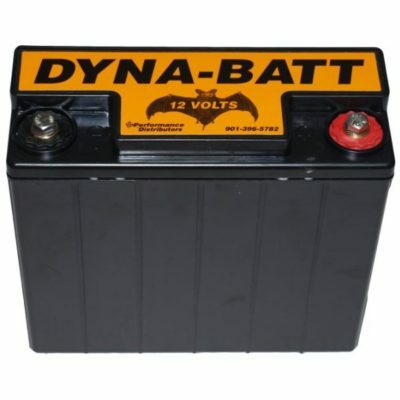 Part# 5575B has standard size top post terminals that will work with most applications that originally came with a top post style battery. 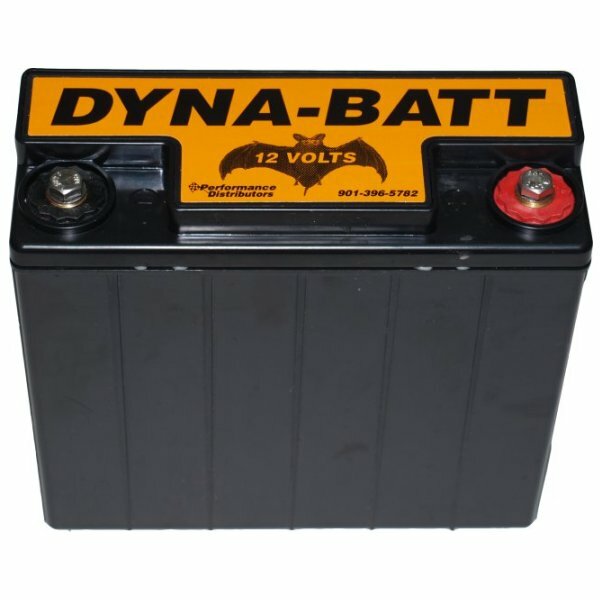 This is our most popular design that replaces the stock battery in most domestic and foreign vehicles without modifying the battery cables. 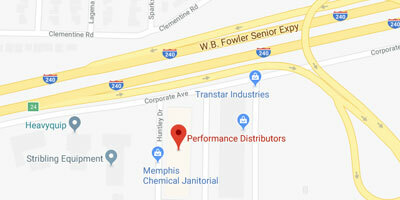 Part# 5575C does not have terminals but includes bolts and washers. 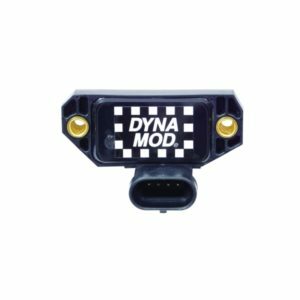 This style is designed to work with motorcycles and personal watercraft that have the terminals with 1/4″ holes attached to the factory battery cable. 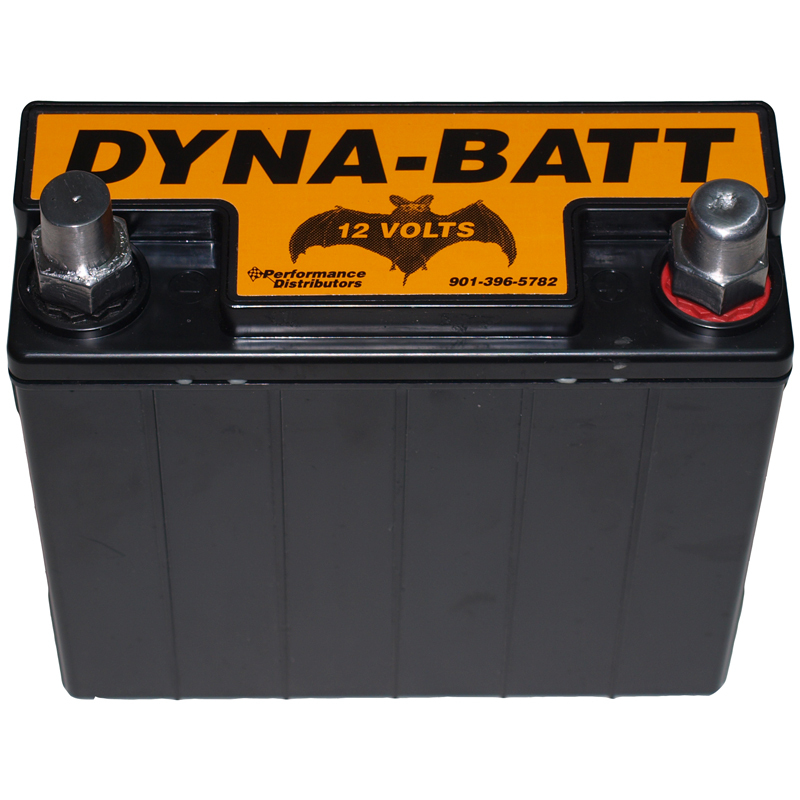 Lighten up your hot rod or race car by removing the heavy 40 lb battery and replacing it with Performance Distributors 13.5 lb Dyna-Batt! 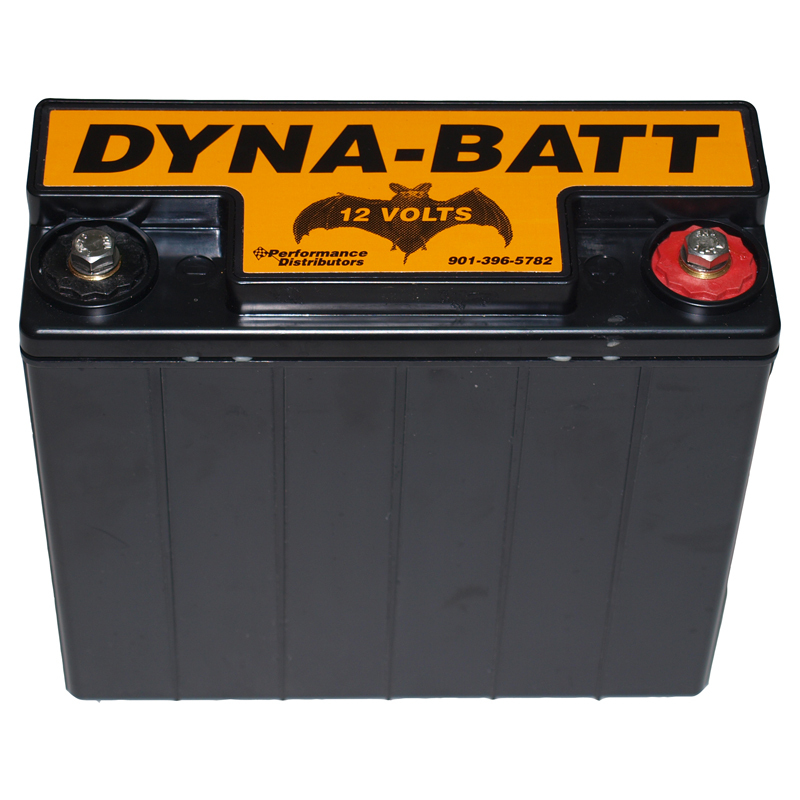 The Dyna-Batt produces more power per pound than any battery on the market. 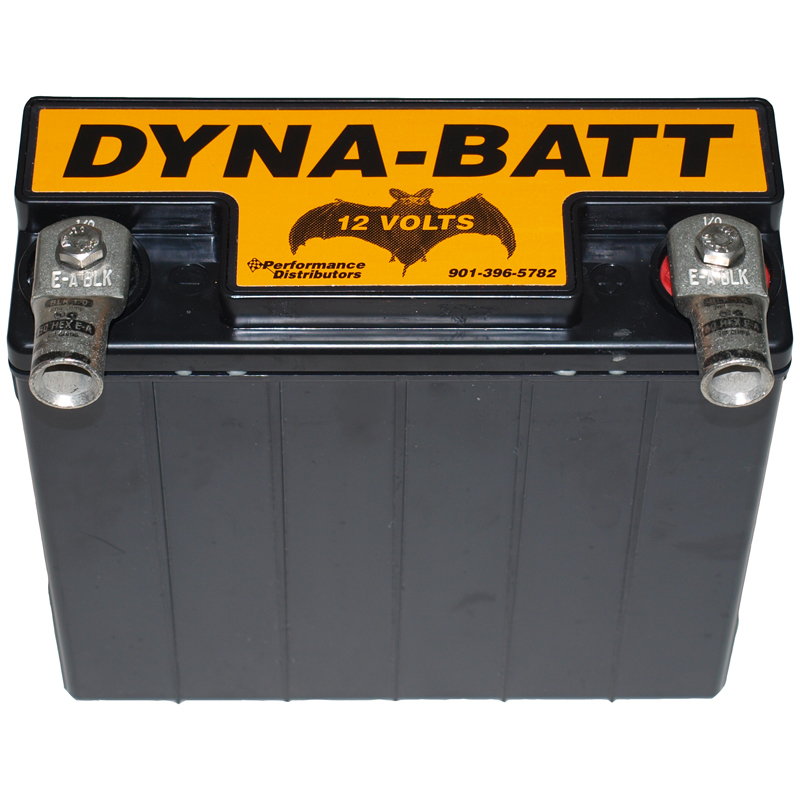 It has the cranking power of wet cell batteries three times its size! This is due to the extremely low internal resistance which allows faster, more consistent starting. 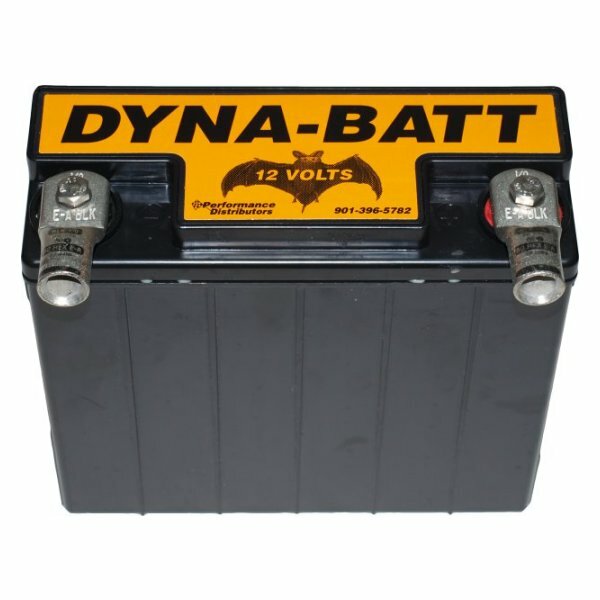 The Dyna-Batt does not have a cold cranking amp rating like other batteries, but has been tested to crank engines with compression ratios as high as 15:1. The reserve capacity of the Dyna-Batt is 16 Amp Hours. 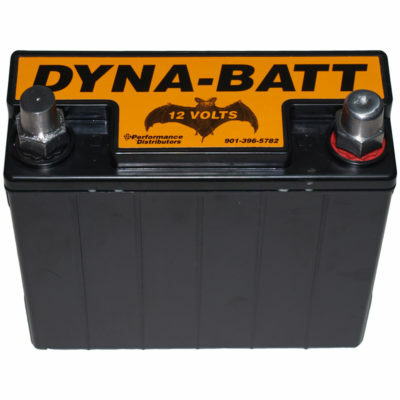 The Dyna-Batt is completely dry cell and can withstand the rigors of high performance and racing environments. It is built with corrosion resistant terminals and is truly maintenance free. The Dyna Batt has an excellent storage life and recharges very quickly. 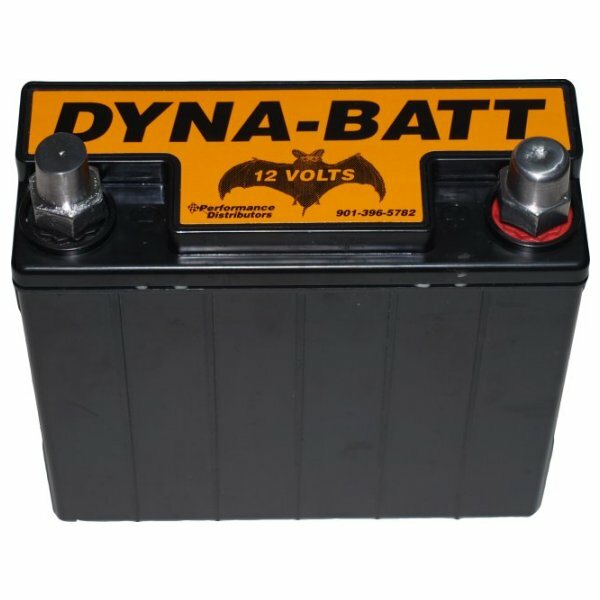 Any 12 volt charger can be used to recharge the Dyna-Batt but a low amperage battery charger/maintainer, much like the charger/maintainer we sell listed below, is recommended to avoid overcharging the battery. 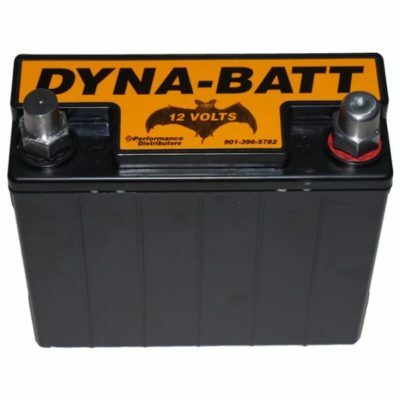 This battery works great with one of our alternators!